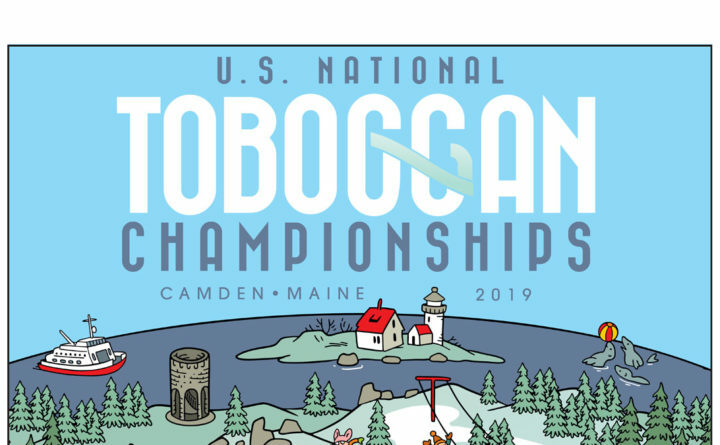 CAMDEN — The 29th annual U.S. National Toboggan Championships will be held Feb. 8-10 at the Camden Snow Bowl, Barnestown Rd. Each year, up to 425 teams of racers gather to ride traditional wood toboggans down the country’s only remaining gravity-powered 440-foot-long wooden toboggan chute, originally built in 1936, which ends with a slide across frozen Hosmer Pond. There will be food vendors, a beer tent, costume parade and steel drum band music Saturday; vendors, finals and awards ceremony Sunday. No fee for spectators; $10/car parking; $3/day shuttle bus. Toboggan team registration is underway, and space is limited. Register by Jan. 4 and your team name will be included in the official program. For more information on rules, toboggan regulations, parking information and registration forms, visit http://www.camdensnowbowl.com/toboggan.